Jakedog.org » Donald E. Westlake – What’s So Funny? Donald E. Westlake – What’s So Funny? Another Dortmunder novel from Westlake. I think I could read Westlake books exclusively and be satisfied for quite a while. This is another funny and fun book. Dortmunder and his crew are blackmailed by an ex-cop and forced to steal a solid gold and gem encrusted chess set that belonged to the last Czar of Russia. As usual, things don’t work out as well as Dortmunder would wish. 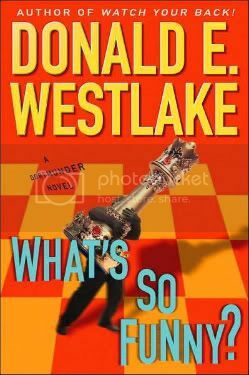 Donald E. Westlake is one of the best and you won’t go wrong reading this book.